A few good cells around yesterday especially in the north. Lots of good rain around yesterday. Broome missed out once again. Had a fierce storm come through tonight with an amazing light show and roaring thunder. Wind went up a level though and I'm sure I heard a fairly sizable branch from a Mahogany tree out the front garden come crashing down.A bit full boar though atm to check. 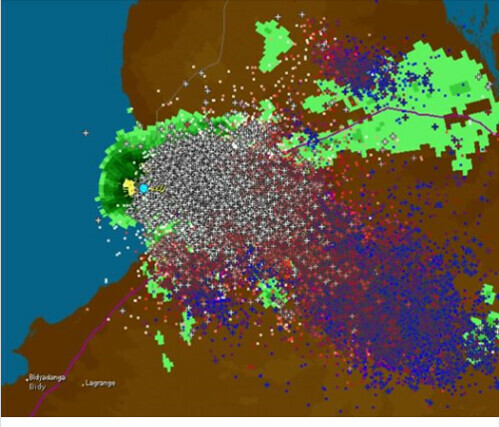 Give you an idea of the lightning strikes around the Broome area last night, it went off alright. Must have been some light show. Yes Werner was a good light show but once the main cloud came in like a freight train all you see was lots of sheet lightning and CGs . Before the storm hit I think the boys got some great shots but again it came in so fast hard to adjust. 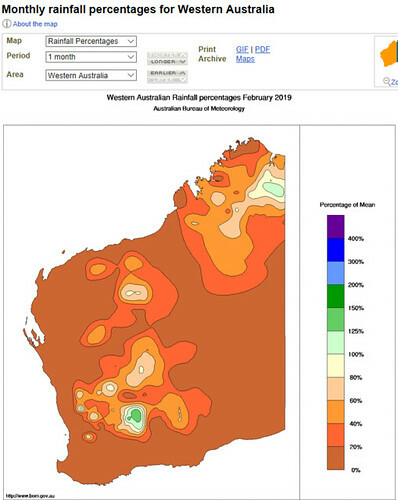 Some decent falls around last night and this morning especially around the ranges. 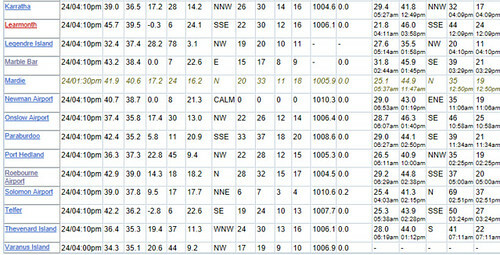 Some hots spots in the Pilbara today. Some rain around last night and this morning but nothing to write home about. 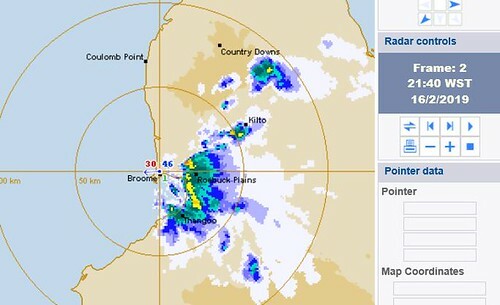 Broome had lots of thunder but not much rain seems like we only get the remanent decay from cells going off from further east lately. Just a tad difference between last year deluge and this year's dryness. Total to this day 2018 1561.0mm 33 day(s).